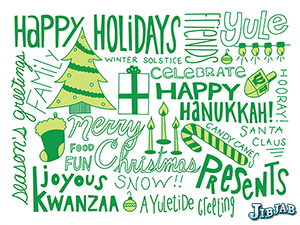 And, whatever you hold holy, Happy Holidays! Happy Holidays to each and everyone of you and may the Holidays bring all of you big smiles and good cheers as well as a happy and healthy NEW year with your loved ones and, please, some peace to the world! So… why don’t we kick off the Holidays revisiting Damian (with his Movember moustache!) 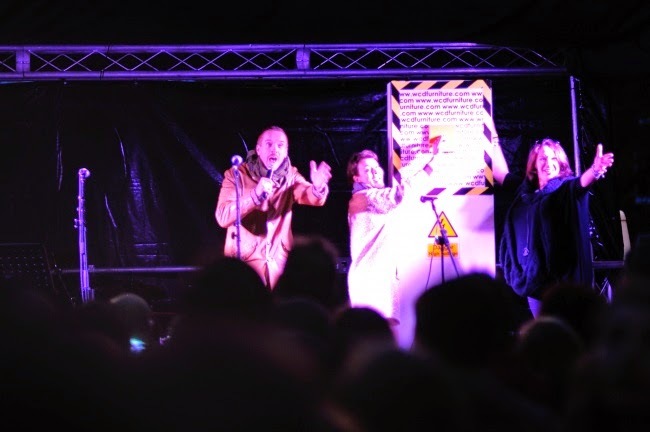 and Helen switching on the Highgate Christmas Lights in Pond Square, London back in 2013? Well, we live down the hill. It’s very nice to be invited to the bright lights of Highgate. See the clip – it’s HILARIOUS! So, how does Lewis-McCrory household celebrate the holidays? Helen talks about their typical Christmas morning and Christmas lunch to Red Magazine back in 2013 which is quite lovely and heartwarming. Don’t worry, Helen; it is never a problem when you have a good cook in the house… Believe me, I’m more than a domestic cripple, and I still can’t cook, either; but I have a good cook in the house, and I know you do, too; so enjoy! Great season post! First things first I made my letter to Santa so that Damian appears under my x-mas tree (hahhaa dont tell Helen or my husband please! ) . I totally think this is a great time of the year to spend time with family, help others and come all together no matter your religion, or cultural background; good vibes are in the air!